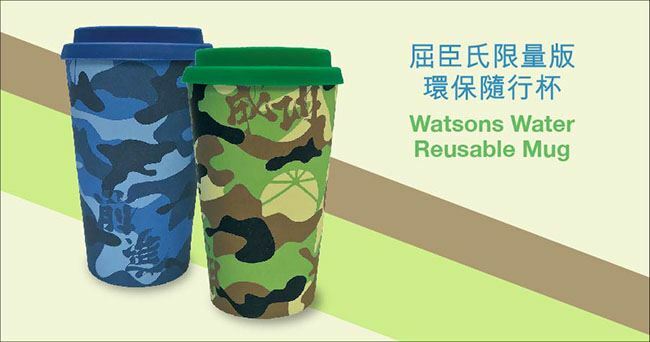 Watsons Water Reusable Mug is mainly made of bamboo fiber, Eco-Friendly & reusable. This reward can be collected at Kar Kar Redemption Center 1 working day after redemption from 16 Jan to 31 Mar, 2019. Please check the stock availability at the redemption center prior to your visit. Each Drops of Fun member can redeem a maximum of 1 gift only. This offer is neither transferable nor exchangeable for cash. Quota is limited and available on a first-come-first-served basis while stock lasts. In event of any disputes, Watsons Water reserves the right of final decision.